This workshop is designed to help both young aspiring and established musicians to develop their social media marketing skills, create an engaging EPK and learn tips and tricks to distribute and sell music online. This workshop is designed to help young musicians and vocalists to develop their stage presence. Learn good vocal techniques, how to improve audience engagement and other tips and tricks to help get the most out of your live performances. This workshop is designed to help both young aspiring and established musicians to develop a basic understanding of how to get the best out of your sound gear to improve live performances. This is a hands-on workshop for young rock musicians. Bring your own instruments and/or voice for a fun jam session. Learn how to put a band together, identify your specific brand/style, tips for how to market and manage your band and sell your original music. 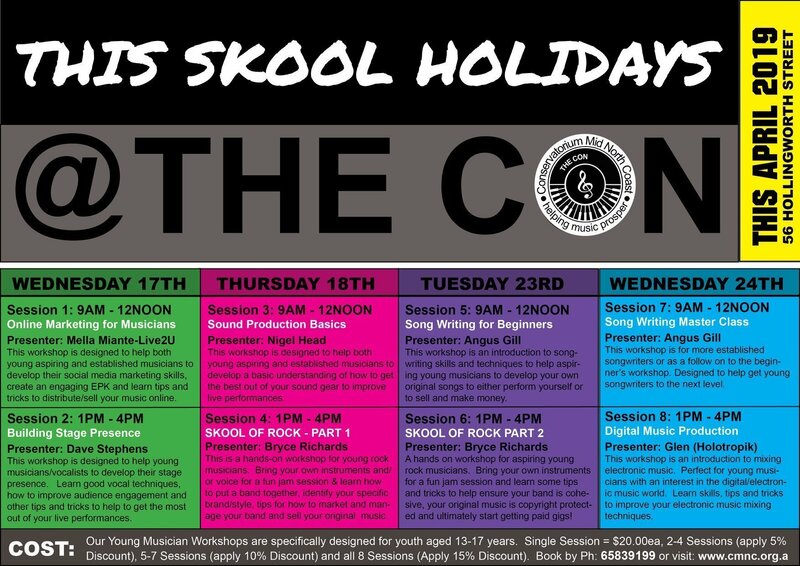 This workshop is an introduction to song writing skills and techniques to help aspiring young musicians to develop your own original songs, to either perform yourself or to sell and make money. A hands-on workshop for aspiring young rock musicians. Bring your own instruments for a fun jam session and learn some tips and tricks to help ensure your band is cohesive, your original music is copyright protected and ultimately start getting paid for gigs. This workshop is for more established songwriters or as a follow on to the beginners workshop. Designed to help get young songwriters to the next level. This workshop is an introduction to mixing electronic music. Perfect for young musicians with an interest in the digital/electronic music world. Learn skills, tips and tricks to improve your electronic music making techniques. All workshops are held at the Conservatorium Mid North Coast from 9:00am to 4:00pm. Each day is broken into two 3 hour sessions. The first session starts at 9:00am and the second session kicks off from 1:00pm. 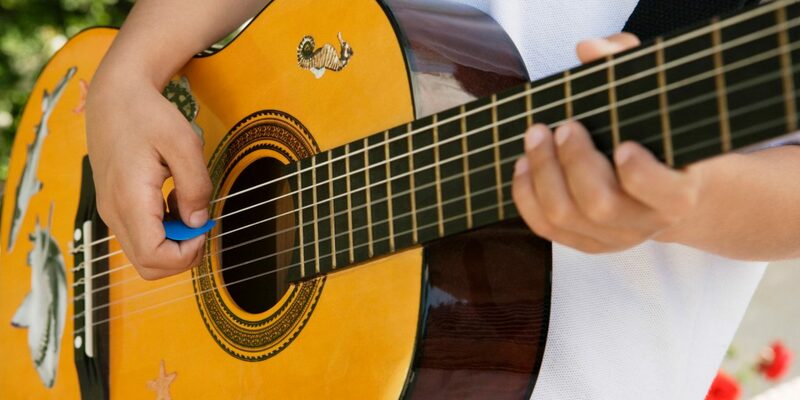 Youth musicians can enrol for the morning or afternoon at $20 per session. A 5% discount is offered when booking 2 to 4 sessions. With 10% discount offered when booking 5 to 7 sessions. Booking all 8 sessions will see a 15% discount offered. Sessions are available for youth aged 13 to 17 years. Learn more about Conservatorium Mid North Coast.